Dr. Charles Howard Wright (1918 – 2002) was an African-American physician. He founded the Charles H. Wright Museum of African American History in Detroit, MI. Wright practiced both general medicine as well as obstetrics and gynecology. Wright became motivated to preserve African American history after visiting a memorial to Danish World War II heroes in Denmark. Visiting this memorial, convinced him that African Americans needed a place and platform to preserve and teach about African American history, life and culture. 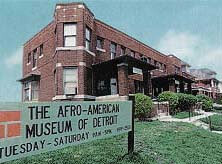 In 1965, in partnership with a racially diverse group of 33 individuals, Wright opened the International Afro-American Museum on West Grand Boulevard in Detroit, MI (pictured above). The next year he also began a traveling exhibit of African History which toured the state in a converted mobile home. In 1978, the City of Detroit agreed to lease space to Wright for land in the Midtown area of Detroit. Groundbreaking took place in 1985 and the museum was named the “Museum of African American History”. 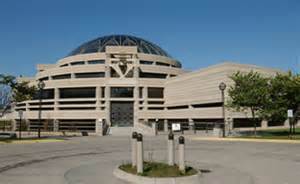 The museum was expanded in 1997 and in 1998 it was renamed, “The Charles H. Wright Museum of African American History”. The museum is described as, “the world’s largest institution dedicated to the African American experience.” The museum is home to over 35,000 artifacts and archival materials. Click here to visit the museum website. 107.5, African American History, Charles H. Wright, Charles H. Wright Museum, Detroit MI, International Museum of Afro American History, West Grand Blvd.